The state has opposed bail conditions variation application by the former ICT minister Supa Mandiwanzira, who is seeking his passport to travel saying that the ex-minister might not come back to court again. Prosecutor Michael Chakandida from the President Mnangagwa’s special prosecuting unit urged the court to trash Mandiwanzira’s application saying if the courts grants him this application, he will never show his face before the court again. “The state fears that the accused person will not stand trial once given the liberty to go. “We have an example of Saviour Kasukuwere and Walter Mzembi, who were given passports and from there, they are still on warrants of arrest,” he said. The claimed G-40 linked ministers were all arrested on criminal abuse of office, Mzembi and Kasukuwere are believed to be on the run. However, they left the country with requests of getting medical attention but never came back to court again. The state is saying it however fears that Mandiwanzira will follow suit if given the passport back. “We have seen this happening your Worship and it will happen again this time if the court allows it,” said Prosecutor Chakandida. He also accused the former information minister of delaying trial and he said it cannot be blamed on the state but the accused person. He told the court that Mandiwanzira will not come back because he is aware of the judgment he is likely to face if convicted. Tembinkosi Magwaliba, who is representing the accused person pleaded with the court to grant him his application. He said that the state has been notified about the application and they said they only wanted to verify about the trip but surprisingly they are now opposing. 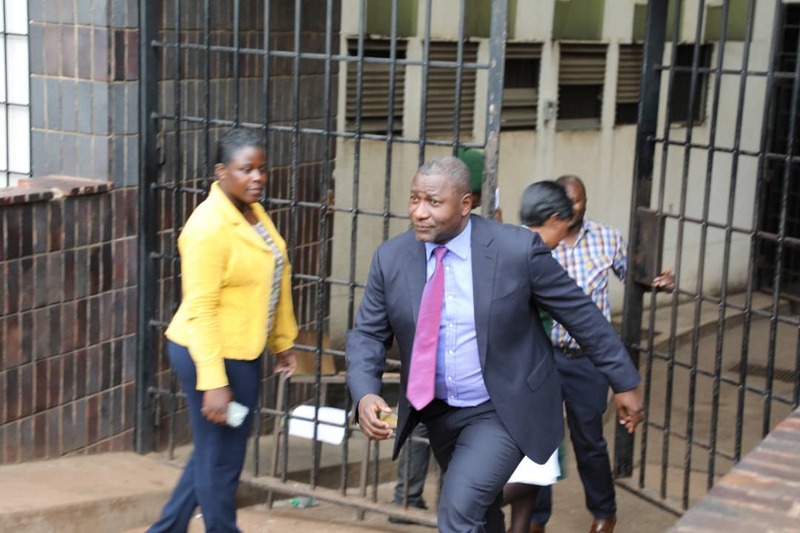 “The accused person is travelling for business purpose and that cannot challenge,” said Magwaliba adding that Mandiwanzira is different from Kasukuwere and Mzembi because he is a businessman and has business objectives in the country. He added that the state will suffer no prejudice if bail conditions are relaxed since Mandiwanzira had suggested to surrender added property as surety to the clerk of court on top of the $100 000 worth which is already with the clerk of court. “The accused is even willing to add security of a value property of not less than $100 000 by the end of today,” said Magwaliba. He said Mandiwanzira is prepared to risk a further additional property to guarantee that he will be back in court and that he has nothing to fear because he initially was in China and come back to surrender himself so state cannot fear of failure to appear. Magistrate Elijah Makomo was supposed to pass the ruling today, 25 March 2019 but failed due to a pressing schedule and he could not compile the ruling. Matter was moved to Wednesday 27 March 2019.